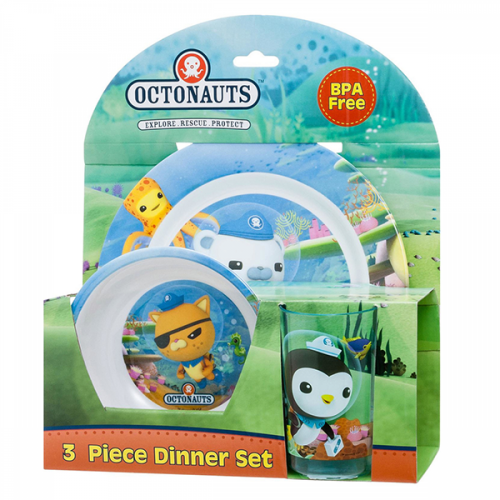 Make mealtimes fun with this adorable 3-piece dinner set, which includes a dinner plate, bowl and tumbler. 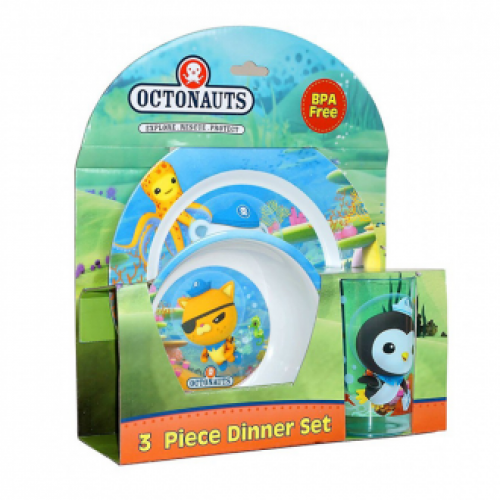 Featuring a bright & colourful design inspired by the hit TV show Octonauts, little ones will want to eat up so they can see which of their favourite characters is waiting underneath! All items are made from 100% BPA-free melamine, which is shatter-proof, non-toxic and ultimately safer for children.